Lost your car keys? Locked out of home or office? Most of us have experienced something like this at point or another. And situations like these can indeed be very frustrating – making you late for work or miss your urgent appointments. 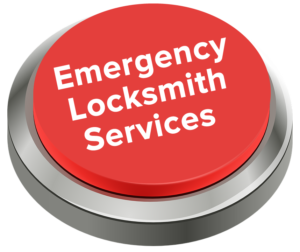 Looking for reliable, emergency locksmith services in Racine? Racine’s Lock & Key offers 24/7 locksmith services – for automotive, residential and commercial requirements. We are mobile and our technicians will be with you in no time whenever you need us. Our licensed and insured locksmiths carry along all the tools to offer any type of locksmith service on the spot – such as cutting new keys, unlock doors, rekeying locks and replace lost or broken car keys. Our technicians are experts in transponder keys programming and are equipped with latest programming tools for same day service. Racine’s Lock & Key is available 24 hours a day, 7 days a week 365 days a year. We guarantee fast response to every emergency call we receive. Our technicians will reach you as fast as possible and deliver appropriate resolution to any kind of lock and key problem – for your home, car and commercial property. Our locksmiths in Racine are friendly, courteous and professional at the same time. They know all the right techniques to unlock your door without causing any damage. And if you have lost your keys, our technicians will get the locks re-keyed or replaced on the spot at very fair rates. Our 24/7 automotive locksmiths can make you a spare car key fast if you need one or replace lost or broken car keys without any fuss. Call Racine’s Lock & Key at (262) 509-0366 anytime and our friendly customer service will be there to assist you further with your emergency locksmith requirements.